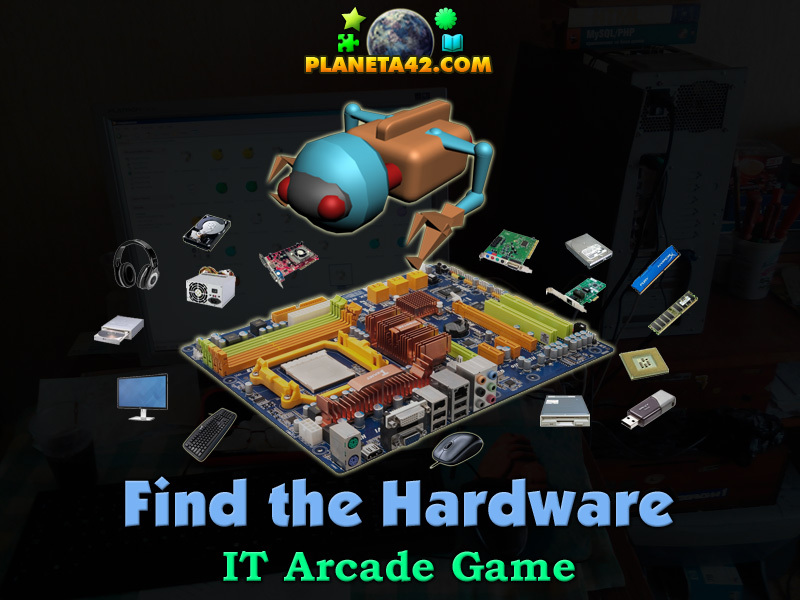 "Find the Hardware" is a free online knowledge level game, about the computer hardware. 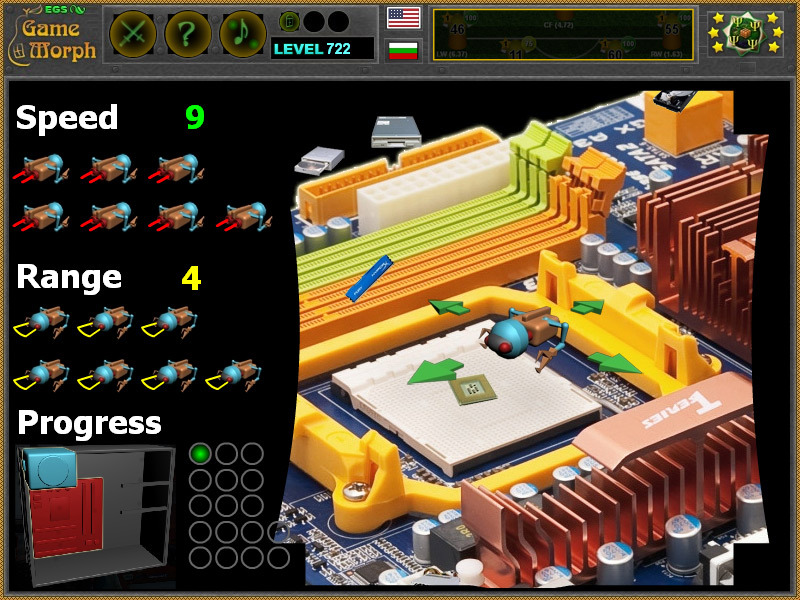 Move the mini ship with the assigned keys and find all hardware and peripheral devices, which appear over the motherboard. A small arcade game for desktop computers, laptops and tablets, which may be played in the web browser. Part of the Interactive Computer Tools educational games. Where is the approximate location of connection for major computer hardware and peripheral devices? How to play Find the Hardware. by clicking on the speed icon on the left or by pressing "s" key. Second is the range. It will widen the visible range of the ship and is activated by pressing "r" key, or the ship icon to the left again. When all 17 parts are collected, you win! Know the approx location of connection for some hardware.